Sony Japan is to launch the new 40GB PlayStation 3 console in not only the usual glossy black colour, but also in white. It made the announcement at the same time as announcing price cuts to the existing 20GB model. The 20GB model will drop to ¥49,980 (£210) on 17 October, while the white and black 40GB versions go on sale for ¥39,980 (£168). That's £131 cheaper than it will cost in the UK at launch tomorrow. 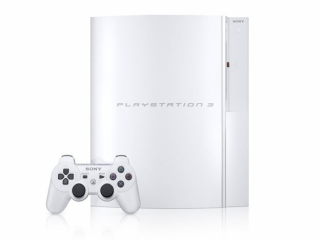 We're currently trying to find out if the white PS3 will launch in the UK anytime soon. As soon as we know, you'll know.